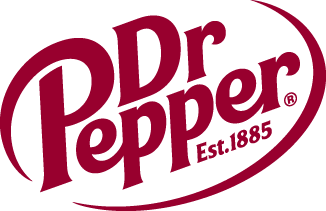 Dr Pepper Dallas Cup Joins the Nike Family | Dallas Cup, Inc. If interested in sponsorship opportunities with “Dr Pepper Dallas Cup XXXI” or the “Dallas Is Diversity Program” please contact Executive Director Gordon Jago at the Dallas Cup office via phone at 214.221.3636 or via email (gordon@dallascup.com). NIKE, Inc. based near Beaverton, Oregon, is the world’s leading designer, marketer and distributor of authentic athletic footwear, apparel, equipment and accessories for a wide variety of sports and fitness activities. Wholly-owned Nike subsidiaries include Cole Haan, which designs, markets and distributes luxury shoes, handbags, accessories and coats; Converse Inc., which designs, markets and distributes athletic footwear, apparel and accessories; Hurley International LLC, which designs, markets and distributes action sports and youth lifestyle footwear, apparel and accessories; and Umbro Ltd., a leading United Kingdom-based global football (soccer) brand. For more information, visit www.nikebiz.com.